Meet the qualified and caring health and fitness professionals who make Personal Training Professionals the best it can be! Our personal trainers are certified and knowledgeable in the latest developments in exercise physiology. What's more, they possess a genuine concern for our clients' welfare. Christopher Thomas, Owner/Director of Personal Training Professionals of Southport, has been involved in the fitness industry for over twenty years. Before opening PTP of Southport, Christopher graduated from Fairfield University with a Bachelor of Science Degree in Accounting. He then spent fourteen years in a high level financial career. Mr. Thomas is excited to share his passion of fitness and a healthy lifestyle with individuals looking to improve their quality of life. Christopher is certified in personal training and weight room instruction from ACSM and AFAA. In addition, he is certified by the International Sports Sciences Association as a Youth Fitness Trainer and Specialist in Fitness for Older Adults. Christopher also has completed his certification in TRX Suspension Training. Mr. Thomas has an extensive background in Multi-sport. Christopher is certified from USA Triathlon and is an Ironman Certified Coach. He has over ten years of coaching experience and he is currently ranked as one of the top amateur triathletes in the world. Michael brings 15 years of experience in fitness, sport performance and rehabilitation to PTP. Michael is an alumni of Holy Cross College and the Athlete's Performance Institute where he extensively studied exercise physiology and sport specific training. 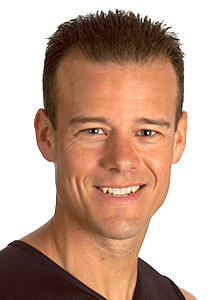 He holds multiple fitness certifications from IHRSA, AFAA and ACSM. Additionally, he has a Cardiac Rehab Certification, Cancer Care Specialist Certification, and is an Advanced Emergency Medical Technician. Michael specializes in diagnostic puzzles related to health and fitness, movement patterns, and rehabilitation to holistically improve health and fitness. He excels at creating safe and interesting workouts for clients who may have special concerns. In order to create personalized training sessions based on his clients' needs and goals, Michael uses his extensive knowledge of exercise physiology, attention to detail, clinical skills and positive attitude. Karen Participated in athletics and movement for over 40 years; teaching/coaching for over 25 years. Trained as a competitive gymnast throughout childhood, Karen continued in the realm of movement as an adult by teaching group fitness, coaching and choreographing gymnastics. This further lead to her study of Mind/Body/Spirit practices – Pilates, Yoga, Barre and Dance. Becoming a one on one trainer using the pilates apparatus Karen is able to empower her clients to become more aware of their own physicality, improving balance coordination and general movement, sustaining safe practical movement to allow for improved health and wellbeing. Her beliefs stem from the center (core) of the body as the powerhouse used to negotiate all movement, while using mind focus to bring awareness and ultimately control to the body. The breath creates ease of movement, naturally allowing energy and flow to the bodies systems, while alignment provides safety for the expression. 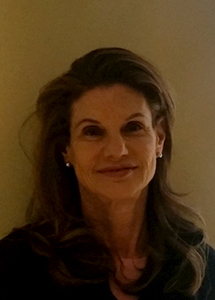 Babette has been teaching group and private Pilates classes for almost fifteen years. Her philosophy caters to the “Neutral Spine-Tailbone Connection” method of training. 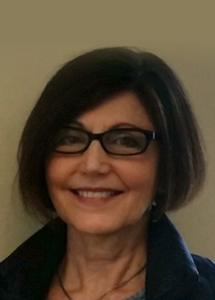 Babette graduated from Simmons College in Boston and began an extensive career in retailing that spanned over twenty five years. While working in retail and manufacturing, she joined a health club in New York and took a Pilates mat class after hearing about its many benefits. After finding it difficult to fully appreciate its application in a class atmosphere, she decided to work one to one with an instructor and was quickly hooked. She has stayed with Pilates as her primary source of exercise ever since. Pilates instruction and training resulting in certification from The Physical Mind Institute of New York to teach mat and equipment Pilates. During that time Babette also studied movement and anatomy for a full year with Irene Dowd. Throughout the years since her certification she has continued to hone her skills and increase her knowledge of anatomy and movement techniques. She has studied under respected instructors such as Shelly Studdenberg, Irene Dowd, Dixie Fun Lee, Doris Pastereur-Hall, and Lesley Powell. 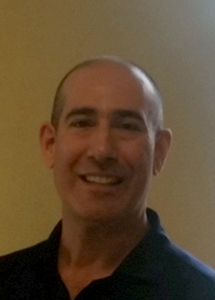 Frank has been licensed in Connecticut and New York since graduating from the Clinical Program at The Connecticut Center for Massage Therapy in 1994. 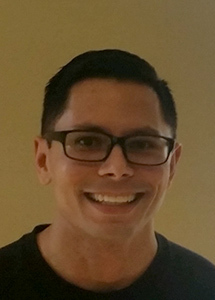 Frank attended Eastern Connecticut State University with a major in Movement Education and minor in Athletic Training. Frank completed his Teachers Training Program at the CT Center for Massage Therapy in 2003 and has taught the Athletic Massage Course. Frank also developed an Advanced Studies Course for the CCMT titled “An Intro to Functional Stretching”. Frank has worked in various environments as a Massage Therapist and Athletic Trainers Assistant, including three seasons with the The Beast of New Haven (a professional hockey team), Disney on Ice, and The South Florida Players Golf Mini Tour. Frank has also worked in the Chiropractic and Physical Therapy fields. Frank’s work combines a clinical/rehabilitative approach to Massage Therapy without forgetting the great benefits of relaxation and stress relief. His strengths lie in his clinical and athletic approach, assessing each client’s needs individually and providing a session tailored to those specific needs. Frank believes in providing an understanding of his work so his clients are able to connect the work that is done in the session with what is learned. Melanie is a former Daytime Television Casting Director in NYC who has been close to sports,training and fitness her entire life. This passion for a healthy lifestyle has inspired her to help others reach their physical wellness goals; and she is approaching this new career with the same energy and discipline that she brings to all areas of her life. A stay-at-home Mom to 2 boys since leaving the Show Biz world in 2006, Melanie recently designed, managed and ran customized "Master Motivation" Boot Camp classes in the warmer Summer months. She has since expanded to indoor spaces and private homes for the fall and winter seasons. She tailors her high energy workouts to individuals of all fitness levels - using her personal blend of equipment and music to inspire clients with the same goals to workout together. 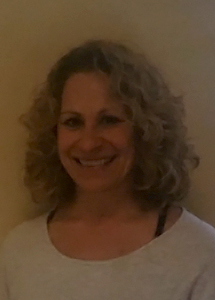 Melanie is thrilled to join PTP of Southport and work one-on-one with clients - helping others to reach their personal fitness goals as she has for a lifetime. 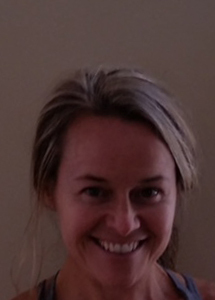 Melanie is 1993 graduate of Wheaton College (Mass) with a B.A. degree in the Performing Arts.